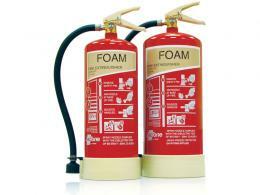 The CO2 Fire Extinguishers are used for fire involving electrical equipment for example computers, photocopiers etc. 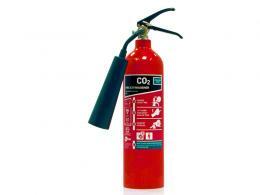 What is the Purpose of a CO2 Fire Extinguisher? This product is great for fires caused by electricity that most commonly occur in offices, homes, and some production facilities. They are designed to remove oxygen from the mix, taking away fuel for the fire. They also give off a cold blast, removing heat from the fire. 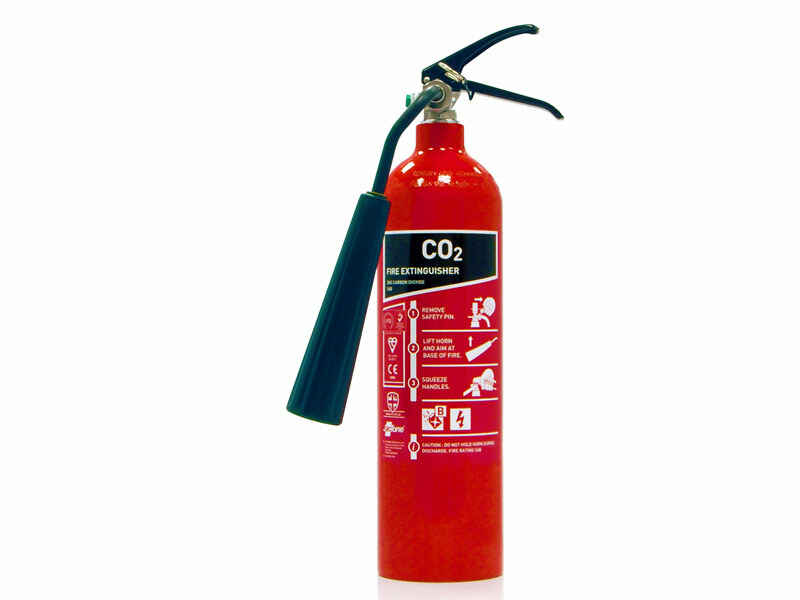 A CO2 fire extinguisher can be used in offices, server rooms, and computer labs. Because CO2 is non-conductive, it helps to dissipate the fire caused by electric charge rather than spread it. This extinguisher also does not leave a residue behind which is great for use with expensive electronics. If the fire is put out quickly enough, there may not be much damage or necessary clean up at all. Large and small offices, electricians, and computer network collectives would find a CO2 fire extinguisher a necessary piece of safety equipment. Especially where electronics are involved, the sooner the fire is put out, the less damage there is to worry about. Each cylinder is deeply drawn, has a thermoplastic lining, and is equipped with high-quality brass valves. Available in 2 capacities, the 2kg cylinder (500mm H x 117mm Dia) can be ordered with or without a fitted frost-free horn, or 5kg cylinder (670mm H x 152mm Dia) . They are C E marked and certified LPCB to BS EN3. The handle is colour-coded and the cylinder is labelled with easy to read markings. This product is deliverable in 2-3 working days from purchase and comes with a 1-year warranty. The Workplace Depot offers price matching and easy returns or exchanges for this product. 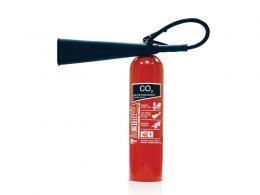 Offices and technological companies would do well to have a CO2 fire extinguisher or two on hand, just in case. Being able to respond to a fire in seconds could save a business a large amount of money and time.